A few months ago, I wrote a cover story about the big hedge fund managers who, after feeling a special bond with Barack Obama in 2007 and 2008, are now contributing heavily to Mitt Romney and the Republicans. A classic example of this type is Paul Tudor Jones, a highly successful Greenwich fund manager who was an early Obama backer last time around but has already given more than $200,000 to Romney's SuperPAC, Restore Our Future. Well, it looks like Mr. Tudor Jones is not letting his influence stop with the presidential campaign; turns out, he is at the center of the mysterious and controversial coup d'etat at the University of Virginia, where president Teresa Sullivan was summarily dismissed with no warning after just two years in office. The world is changing rapidly, and UVa needs proactive leadership to match the pace of change. Certainly, our next president should lead a strategic planning process involving all stakeholders with a vision for the world of academia of 2022 and 2032, and chart an innovative path to get us there....Each of us needs to be willing to commit time and resources to ensure that we are thinking ahead 10 and 20 years to ensure that the university is in that pantheon of extraordinary schools that Jefferson envisioned. Got that, stakeholders? Change is messy, but the lords of Greenwich have got it well in hand. The first hedge-fund manager to build a big house in Greenwich may have been Paul Tudor Jones II. In 1988, when he was only 33, The Wall Street Journal dedicated a front-page story to Jones, calling him “the most-watched, most-talked-about man on Wall Street.” The previous year, with estimated earnings of $80 million to $100 million, Jones was said to have made more money than anyone else on Wall Street, even more than Henry Kravis (who earned an estimated $70 million) and Michael Milken ($60 million). It wasn’t long before Town & Country named Jones one of New York’s most “eligible and exciting” bachelors. Born and raised in Memphis, Jones started his fund in the early 1980s. A speculator with a sixth sense and good nerves, he traded in as many as 30 different commodity markets, moving in and out, sometimes in minutes, never holding a position for more than a few days. His greatest call was predicting the stock-market crash of October 1987; coolly, he showed a return of 201 percent for the year, while others, less prescient, lost everything. In 1994, with his new wife, an Australian model named Sonia, Jones paid just under $11 million for a graceful Tudor home on Greenwich’s Belle Haven peninsula, overlooking Long Island Sound. “When Paul Tudor Jones bought that house, it was the first time I was really aware that the hedge-fund people had so much money,” said David Ogilvy, whose real-estate-brokerage company, David Ogilvy & Associates, has handled some of the biggest sales in Greenwich. Built in the late 1800s by William Thompson Graham (who financed the inventor of the Dixie cup) and his wife, Edith (who would later survive the Titanic), the house was torn down by Jones in 1998 and replaced. The new house, perched on three and a half acres just above the Belle Haven Club, is most notable for the aggressive way it dominates the landscape. 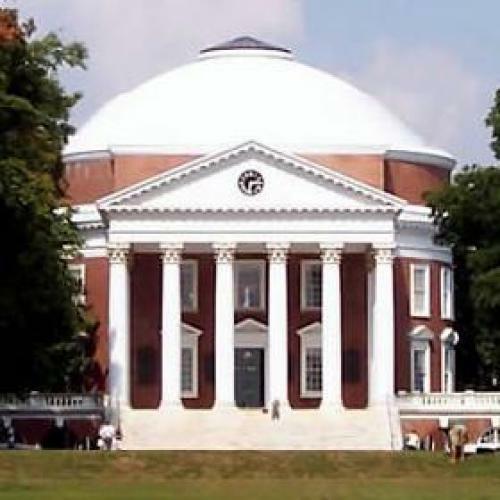 With its enormous center dome and columned portico, it may have been influenced by Thomas Jefferson’s Monticello or by Jones’s alma mater, the University of Virginia, where the original campus was also designed by Jefferson. “A cross between Tara and a national monument” is how one person described Jones’s house to me. Whatever it’s called, people in Greenwich like to gossip about the house. “It is so large that a lot of people think his house is the club,” one longtime Greenwich resident informed me. “He has a 25-car garage under the house,” reported someone else, wide-eyed. What I know from my research is that last year Jones paid $190,000 in property taxes on his house. And while the town assessed the house at just under $26 million, one of the top real-estate brokers in Greenwich told me the place might be worth between $50 million and $60 million.